Is the Silky Terrier right for you? Find your perfect match now! Don't let the luscious locks fool you: Silky Terriers mean serious business. This breed is known in Australia for hunting snakes. In fact, one notable Silky Terrier named Fizo saved an 11-year-old from an extremely venomous snake and earned Australia's highest award, the purple cross. Let's see your Yorkie do that! Actually, Silky Terriers do owe their heritage to the Yorkie line: they were bred by crossing Yorkshire Terriers with Australian Terriers. Initially developed to hunt small vermin and keep their owners company, Silky Terriers now often compete in earthdog trials. They also still keep their people company, but folks in search of a lapdog should keep looking. (May we recommend a Shih Tzu or Italian Greyhound?) This little gal might snuggle when she feels like it, but your energetic, tenacious, and curious Silky often prefers to play and explore. Some also work as therapy dogs. Originally from Australia, this small-sized and medium-energy breed can grow to about 10 pounds and lives an average of 13-15 years. The breed is recognized by the American Kennel Club and classified as a member of the Toy group. WHAT IS A SILKY TERRIER'S PERSONALITY LIKE? The Silky Terrier is the dog you want to sit next to at a dinner party: She's friendly, a tad cheeky, and full of life. This breed is sturdy but small — their size and energy levels mean they'll do best with supervised play with kids and other dogs. Silkies are a social breed. They want to be where you are, whether you're actively playing with them or just taking them along for the ride. WHAT IS SILKY TERRIER BEHAVIOR LIKE? Agile and alert, this is a very active breed. Think terrier dog levels of exercise, rather than your standard toy daily walk around the block-levels. And like many terriers, the Silky has an avid interest in chasing next door's cat, re-landscaping your backyard to feature more holes in the flower beds (she's quite sure they're “in” this year), and barking when she's got something on her mind. HOW EASY IS IT TO TRAIN A SILKY TERRIER? 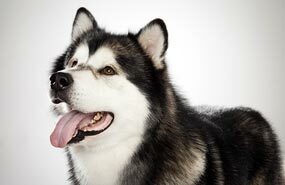 These are extremely clever and generally biddable dogs who respond well to training. (Though like many toy breeds, Silky Terriers can be slow to housetrain.) Don't let that precious face convince you that rules don't apply to these mischievous moppets. They compete in earthdog events, as well as in agility, obedience, rally, tracking, flyball, and obedience. HOW MUCH DO SILKY TERRIERS SHED AND WHAT ARE THEIR GROOMING NEEDS? Silky Terriers are infrequent shedders who don't smell very doggy. But those supermodel tresses require frequent brushing — think every day, if you leave them show-length — to prevent mats and tangles. Their long coats also equal regular trips to the groomer for trims. WHAT HEALTH PROBLEMS DO SILKY TERRIERS HAVE? As a breed, Silky Terriers are generally healthy. Some are prone to eye disease or slipping kneecaps. ARE SILKY TERRIERS GOOD FOR PEOPLE WITH ALLERGIES? The American Kennel Club doesn't list Silky Terriers among its breeds recommended for allergy sufferers. Remember that no breed is 100% hypoallergenic, and any breed can aggravate allergies. You can reduce your furry friend's impact on your allergies with frequent baths and brushings to reduce loose hairs and aggravating proteins in your pet's dander. Use a damp cloth to wipe off your dog after you've been playing outside. Smaller dogs have less surface area, and so produce comparatively less dander than larger breeds — definitely something to keep in mind with a dog as small as a Silky Terrier! WHAT IS A SILKY TERRIER'S BEST DAY? Silky Terriers want to play with you and their sharp minds make them excellent candidates for training. Throw a ball, train them for agility work, let them sniff around for chipmunks in the backyard — just keep them company while they keep themselves busy. Then end the day with a fun training routine before supper. SHOULD I ADOPT A SILKY TERRIER? Silky Terriers are travel-sized and can live just about anywhere, including apartments and small homes. They're equally well-suited to warm and cold temperatures, depending on short how you choose to keep those long locks. Just be sure you're prepared for a terrier in the streets as well as a toy breed on the sofa; these dogs need lots of opportunities to sniff, play, and run. 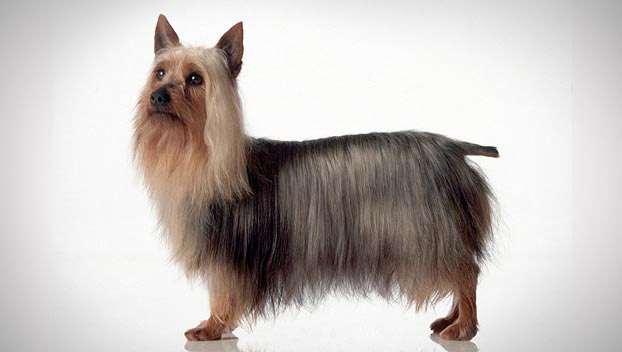 If you can commit to her exercise and styling routines, the Silky Terrier is a gorgeous and loving canine companion. This fancy furball will keep you and your family on your toes! Have you decided that a Silky Terrier is the perfect dog for you? Why not be your new best friend's hero and adopt a rescue! Be sure to check out our article on what to expect when you're adopting a dog or cat.